The Leizhou Peninsula, formerly romanized as the Luichow Peninsula, is a peninsula in the southernmost part of Guangdong Province in southern China. Qing naval forces were stationed at the Leizhou Peninsula. The Leizhou Peninsula is the third largest peninsula in China with an area of c. 8,500 square kilometers (3,300 sq mi) located on the southwestern end of Guangdong, with the Gulf of Tonkin to the west and the 30 km wide Qiongzhou Strait to the south, separating the peninsula from Hainan Island. It is the most southerly point of continental China. The Leizhou Peninsula viewed from Haikou City, Hainan over the Qiongzhou Strait. Geologically, basalt terraces account for 43% of the peninsula's area. The rest is divided up between marine terraces (27%) and alluvial plains (17%). Leizhou Peninsula is dotted with a few dormant volcanoes, beaches, and low-lying diluvial plains. Leizhou has two separate volcanic fields: a Pleistocene–Holocene field at the northern end of the peninsula west of Zhanjiang (雷北火山群, Leibei Huoshanqun) and the northern end of the Qionglei or Leiqiong volcanic field, which extends across the strait into northern Hainan (雷南火山群, Leinan Huoshanqun). The volcanoes derive from the east-to-west tectonic extension and thinning of the lithosphere connected with the creation of the South China Sea's basin. Two Pleistocene-era basaltic stratovolcanoes are Yingfengling (鹰峰岭) and Tianyang (田洋), 15 km (9.3 mi) apart in the center of the peninsula. There is also a third volcanic field responsible for some of the islands offshore (火山岩岛屿, Huoshanyan Daoyu). Hepu National Sanctuary of Dugongs was created west of the peninsula to protect endangered wildlife especially marine mammals. Vicinity to the peninsula, such as the Leizhou Bay has declared to be parts of the Chinese white dolphin sanctuary holding the second largest population in the nation. Dugongs still occur in small number. Some Bryde's whales, minke whales, and whale sharks still occur in the adjacent waters including Hainan Island and Gulf of Tonkin waters such as off Tieshangang District, Islands of Weizhou and Xieyang. Critically endangered whales such as North Pacific right whales and western gray whales, humpback whales, and blue whales were once known to occur around the peninsula in the winter and spring to calve. Waters such as Wailuo Harbor were ideal habitats for these giants. These whales were heavily hunted and were wiped out by Japanese whalers in this regions. (Japanese whalers established whaling stations at various sites along the Chinese and Korean coasts including on the island of Hainan and at Daya Bay). The peninsula lies in tropical South China. The region is under the influence of continental northeastern monsoons and maritime southeastern and southwestern monsoons. Typhoons occasionally occur, both from the Pacific Ocean and the South China Sea. Annual precipitation is 1400–1700mm. ^ Nicholas Belfield Dennys (1874). The China Review, Or, Notes and Queries on the Far East. "China Mail" Office. pp. 345–. ^ VolcanoDiscovery. "Leizhou Bandao volcano" [sic]. Accessed 24 Jul 2014. Wikimedia Commons has media related to Leizhou Peninsula. 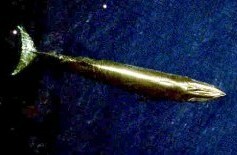 Bryde's whale or the Bryde's whale complex putatively comprises two species of rorqual and maybe three. The "complex" means the number and classification remains unclear because of a lack of definitive information and research. The common Bryde's whale(Balaenoptera brydei, Olsen, 1913) is a larger form that occurs worldwide in warm temperate and tropical waters, and the Sittang or Eden's whale is a smaller form that may be restricted to the Indo-Pacific. Also, a smaller, coastal form of B. brydei is found off southern Africa, and perhaps another form in the Indo-Pacific differs in skull morphology, tentatively referred to as the Indo-Pacific Bryde's whale. The recently described Omura's whale, was formerly considered a "pygmy" form of Bryde's, but is now recognized as a distinct species. The Chinese white dolphin is a variety of Indo-Pacific humpbacked dolphin. This variety inhabits the eastern portion of the species range, in Southeast Asia and Australia. Some biologists regard the Chinese white dolphin as a separate subspecies, Sousa chinensis chinensis, from the Plumbea-type Indo-Pacific humpbacked dolphin, which lives in the western part of the species range, from east Africa to India. However, DNA testing has indicated that the Chinensis-type dolphins from Southeast Asia are more closely related to the Plumbea-type dolphins than they are to the Chinensis-type dolphins from Australia. Weizhou Island is a Chinese island in the Gulf of Tonkin. The largest island of Guangxi province, Weizhou is west of Leizhou Peninsula, south of Beihai, and east of Vietnam. Administratively, it is part of Weizhou Town, Haicheng District of Beihai City. The Jiaozhou Bay is a gulf located in Qingdao, China. It was a German colonial concession from 1898 until 1914. Zhanjiang is a prefecture-level city at the southwestern end of Guangdong province, People's Republic of China, facing Hainan to the south. The Qiongzhou Strait, also called the Hainan Strait, is the Chinese strait that separates Guangdong's Leizhou Peninsula from the island province of Hainan. It connects the Gulf of Tonkin on its west to the South China Sea on its east. The strait is on average 30 km (19 mi) wide and centered at 20°09′N 110°16′E with a maximum water depth of approximately 120 m (390 ft). The strait is susceptible to closure during strong typhoon activity. Daya Bay, also formally known as Bias Bay, is a bay of the South China Sea on the south coast of Guangdong Province in the People's Republic of China. It is bordered by Shenzhen's Dapeng Peninsula to the west and Huizhou to the north and east. Leizhou Min is a branch of Min Chinese spoken in Leizhou city, Xuwen County, Mazhang District, most parts of Suixi County and also spoken inside of the lingustically diverse Xiashan District. In the classification of Yuan Jiahua, it was included in the Southern Min group, though it has low intelligibility with other Southern Min varieties. In the classification of Li Rong, used by the Language Atlas of China, it was treated as a separate Min subgroup. Hou Jingyi combined it with Hainanese in a Qiong–Lei group. For the "Tree Island" in Tuen Mun District, New Territories, Hong Kong, see Pak Chau. 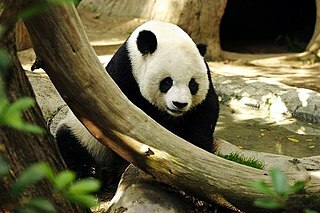 China's vast and diverse landscape is home to a profound variety and abundance of wildlife. As of one of 17 megadiverse countries in the world, China has, according to one measure, 7,516 species of vertebrates including 4,936 fish, 1,269 bird, 562 mammal, 403 reptile and 346 amphibian species. In terms of the number of species, China ranks third in the world in mammals, eighth in birds, seventh in reptiles and seventh in amphibians. The 1994 Taiwan Strait earthquake occurred on 16 September 1994, at 14:20 local time in the southern Taiwan Strait. The magnitude of this earthquake was given as Mw 6.8 by USGS and Ms 7.3 by Fujian Seismological Bureau. The epicenter was located about 150 to 180 km from the coast of the border of Guangdong and Fujian, and about 150 km southwest of Taiwan. Haikou Volcanic Cluster Global Geopark, also known as Haikou Scenic-Shishan Volcano Cluster, Leiqiong Global Geopark, Haikou Crater Park, and Hainan Crater Park is a national park located approximately 15 km west of Haikou, Hainan, China. It is named for a crater, one of many extinct volcanoes on the island. Leizhou stone dog is a heritage product blending the ancestors' tradition of totem worship integrated with different ethnic cultures. In ancient times Leizhou Peninsula was a stink, dense, wild land with a small population. It was not easy to have children while living in such harsh condition. The original inhabitants therefore worshiped dogs which could easily give birth to their descendants. Stone dogs in the Leizhou Peninsula are also called the Leizhou Stone Dogs. It is a kind of sculptures with a long history. Numerous stone dogs are widely distributed at village entrances, roads, and gates. Stone dogs are a unique local cultural heritage, with many meanings and shapes. These roughly carved stone dogs, which have turned grayish after a long period of rain and wind, are the gem of the peninsula's time-honored unique culture. They attract many tourists from both home and abroad. The stone dog is a unique form of art and culture belonging to the Leizhou Peninsula, rarely seen elsewhere China or the world. Tropical Storm Bebinca was a weak but erratic and long-lived tropical cyclone that affected South China and Vietnam in mid-August 2018. Bebinca originated from a tropical depression over the South China Sea on August 9. Maintaining this intensity for a few days near the Guangdong coast, the system intensified into a tropical storm south of Jiangmen on August 13. The storm moved slowly to the east and then curved back on the next day, before making landfall in the Leizhou Peninsula on August 15. Bebinca crossed the Gulf of Tonkin and made landfall in Vietnam on August 16, before dissipated on the next day.